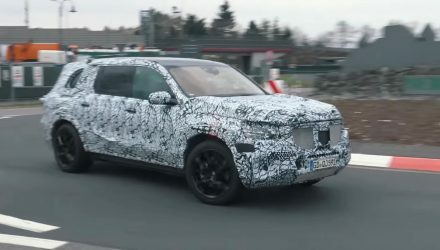 The next-gen, W167 Mercedes-Benz GLE large SUV has been spotted in prototype form again, out and about on the streets of Germany. It seems engineers are also testing a roof box accessory which may become available for buyers. With a roof box on top, it’s likely Mercedes-Benz is making sure the next GLE offers customers genuine utility and practicality solutions. There’s also a chance test drivers have some weight stored up there to see how it influences the driving dynamics and balance of the SUV out on the road. More and more camouflage is being stripped from the prototype with every spotting that surfaces. And in the latest guise we get a pretty good look at the new, softer and rounder body design. The shoulder lines are curvier, with rounded headlights, and the company’s latest twin-tier grille at front and centre provides a fresh face. 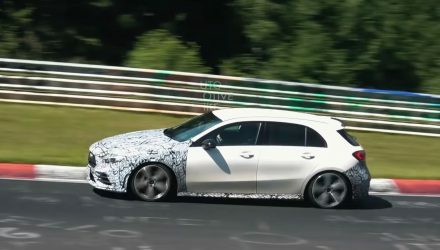 We also get a clearer look at the defined wheel arches with this spy video, revealing a smoother contour transition from body to wheel arch. 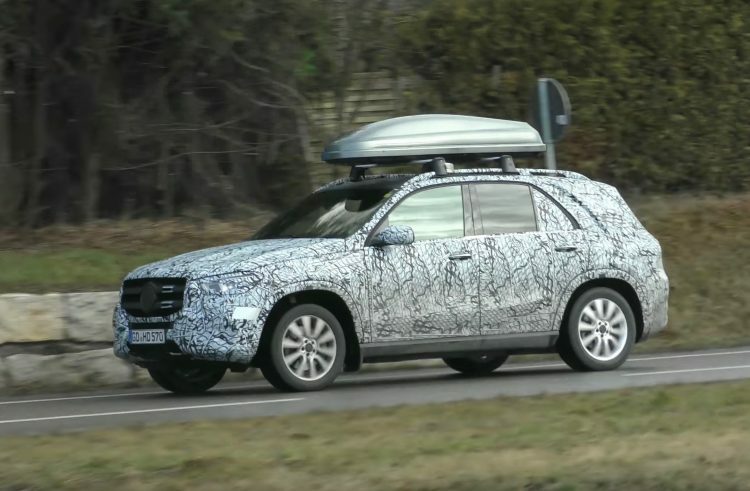 Around at the back it appears Mercedes is still concealing the look of the tailgate, with this prototype featuring some disorienting and distracting lines that throw off the exact shut line and overall angle of the windscreen. The next-gen model will jump to the much newer MHA platform, ditching the rather old Chrysler-Daimler-based layout of the current model. This switch is expected to bring big changes to almost everything, including cabin space efficiency, fuel economy, driving dynamics, and performance. As for the under-bonnet stuff, a range of new engines are likely, potentially including the M256 turbo inline six that develops up to 300kW. Most models, if not all, are set to receive a 48-volt electric system, while an outright hybrid model like the existing 500e will probably continue albeit somewhat revised. 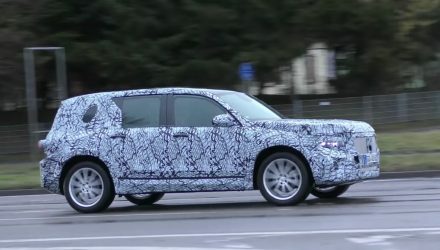 Given this prototype appears to be in near-production trim, we’d anticipate an official unveiling in the next few months. Click play below for a preview.